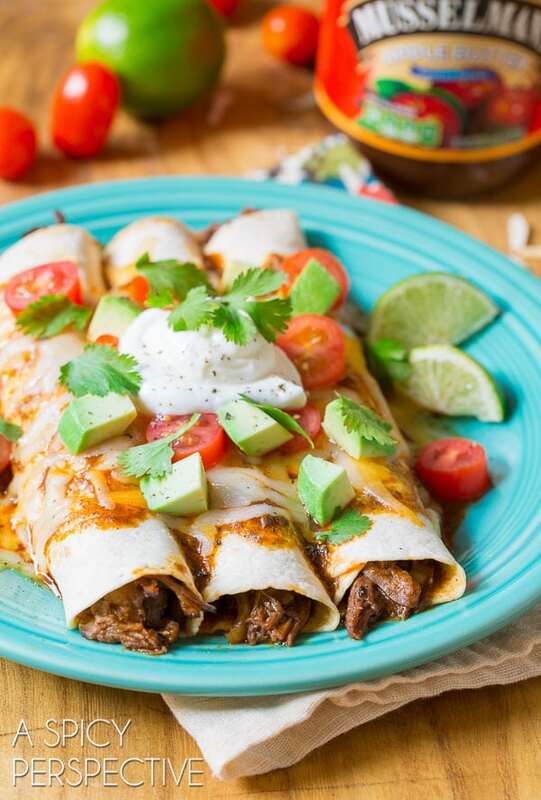 We’ve got a cozy delicious Slow Cooker Beef Enchilada Recipe for you today, with a secret ingredient that makes all the difference! I can hardly believe it. Today is the 5 year anniversary of A Spicy Perspective! In 2010, I was teaching cooking classes to 20+ friends in my kitchen. 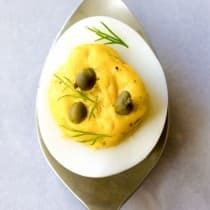 My mom (and one of my friends) encouraged me to put my recipes online, to make it easier for the students to access them. I had no idea what a blog was at the time, yet within a few months it was clear blogging would be a huge part of my life. Now five years have passed and A Spicy Perspective has grown into our passion and our family business. We love sharing weekly recipes with you, along with a side of travel experiences, and some personal tidbits. We are so humbled that so many of you visit us week after week. It has been an honor, and we hope to be here many more years to come! So today we move forward into the next 5 years of A Spicy Perspective with a true crowd-pleaser, our Slow Cooker Beef Enchilada Recipe. 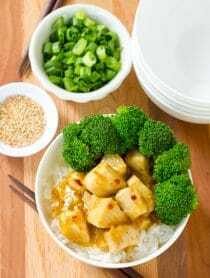 This easy recipe is just the kind of dinner I like to prepare this time of year… warm and comforting, with a punch of spice and tangy sweetness. And of course, melted cheese on top! 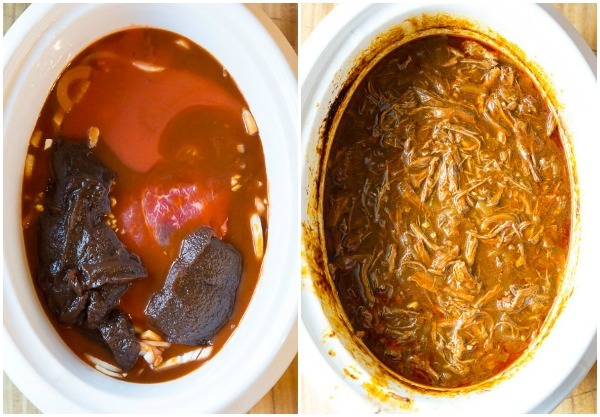 Our Slow Cooker Beef Enchilada Recipe, as you see in the title is cooked throughout the day in a crockpot. You can start it in the morning before you head off to work, then walk into a house filled with the most sumptuous tantalizing aroma later that evening. 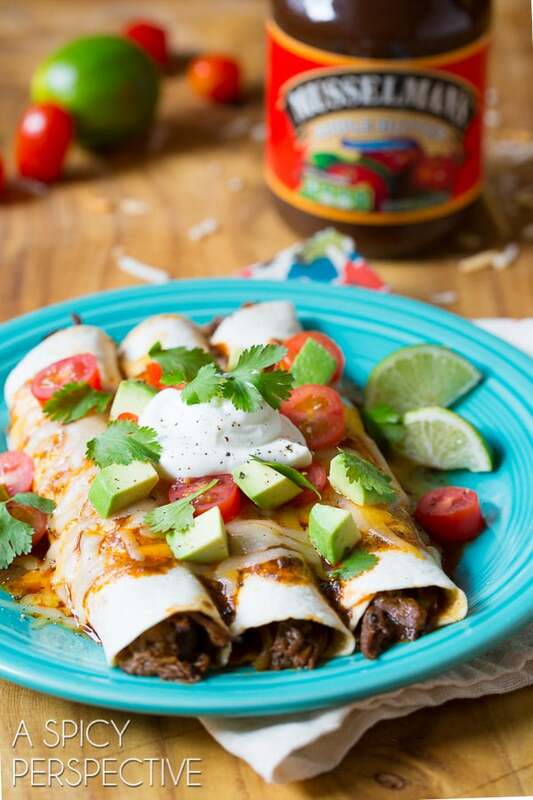 When you’re ready for dinner, you simply roll the slow-cooked beef in tortillas, sprinkle with cheese, and bake just long enough to melt the cheese. There’s a top-secret ingredient in this Slow Cooker Beef Enchilada Recipe that adds depth and a touch of sweetness. Musselman’s Apple Butter! Red enchilada sauce is good. Red enchilada sauce, with a bit of cayenne pepper sauce, is even better. However, red enchilada sauce, with a bit of cayenne pepper sauce, and a touch of sweet spiced apple butter is a thing of beauty! The apple butter mingles with the spicy flavors and creates the most intriguing flavor-bath for the beef to simmer in all day long. The beef cooks down so tenderly, it essentially falls apart when you shred it with a fork, making it a marvelously spicy-sweet enchilada filling. This easy Slow Cooker Beef Enchilada Recipe would be the perfect main course to serve for the Super Bowl this year! Your friends may bring over chips, dips, and canned beverages, yet you will offer up a dish they won’t be able to take their minds off for weeks to come. The best easy Slow Cooker Beef Enchilada Recipe! This beef enchilada recipe is spicy and tangy, covered in cheese, and loaded with fresh toppings. Pull the beef roast out of the sauce and place on a cutting board. Shred with 2 forks and mix the shredded meat back into the sauce. Keep on warm until ready to continue. Preheat the oven to 400 degrees. Scoop the meat into tortillas and roll. Then place each enchilada in a large 10 X 15 inch baking dish. Once the tortillas and meat are used up, spoon the remaining sauce over the top of the beef enchilada recipe and cover with shredded cheese. Bake for 10-15 minutes until the cheese in melted and bubbly. Serve warm with your choice of fresh toppings. 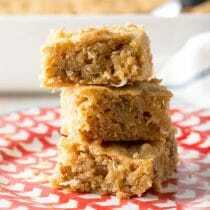 Stumbled upon this recipe today & loved it!! So easy & soo good! We get fresh beef from my parents & I’m always left with the roasts looking for something to do with them. This was perfect!! ? Happy Anniversary, Sommer! You have so much to be proud of – a beautiful blog, amazing recipes, and a sweet nature that shines through in every post. And now, I must make these enchiladas. Seriously salivating over these! I can totally wrap my head around apple sauce cooking away with my beef. Wonderful! And congrats on 5 years!! Congrats on the 5 year anniversary! These slow cooker enchiladas look so delicious and I love that touch of apple butter to them, such a great idea! 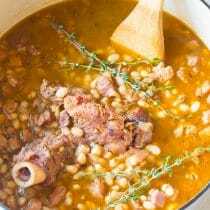 Always looking for good slow cooker recipes! This will go on my must make list! 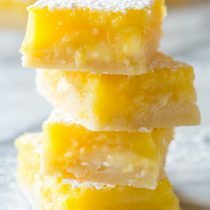 I LOVE this recipe!!! Totally rockin’ my world with this! I can’t find enchilada sauce where I live. What is an alternative, or how could I make my own? Hi Christina, How about mild taco sauce! This has Super Bowl written all over it! Thanks and happy happy anniversary! Congrats on 5 years – I am so happy to know you Sommer!!! These enchiladas look fantastic, I love your secret ingredient. That sauce sounds amazing. Oh wow, these look so delicious!! 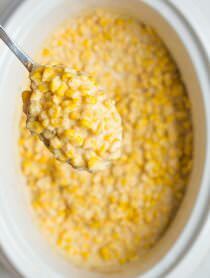 I love the idea of making them in the crockpot! I had something just recently like this recipe. Boy howdy let me tell you how GOOD it is fixing the meat like this. Adding apple butter to this is GENIUS! That one special thing that puts a recipe over the top but no one can quite put their finger on it! Yum. This looks just like the perfect dinner! This is going on my must-try soon list. Such a creative idea for dinner! Oh my word! Your photos are just beyond perfection, Sommer! 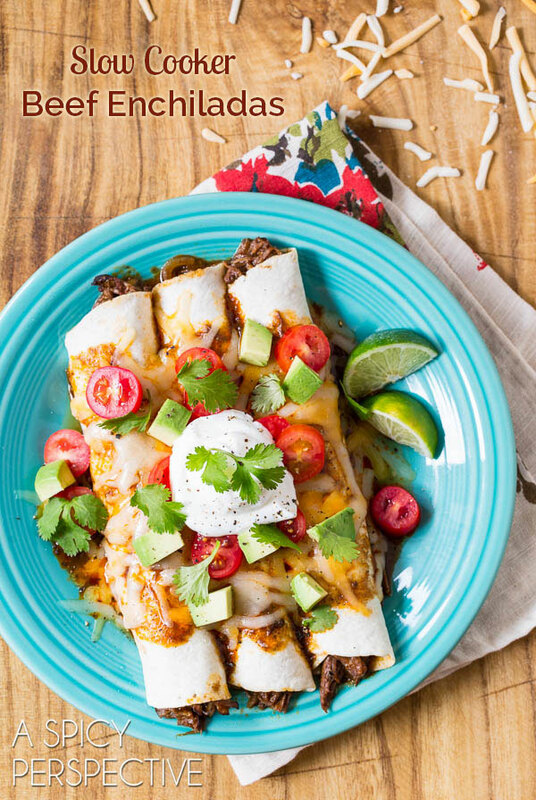 These enchiladas look so flavor-packed and amazing. Humongous YUM!!! Mmmmmmm…..my mouth is watering!! So can’t wait to try these!! 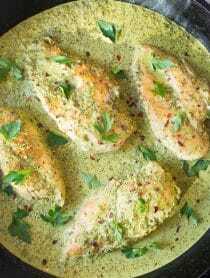 This sounds like such a comfort meal – perfect for making on a chilly day like today! 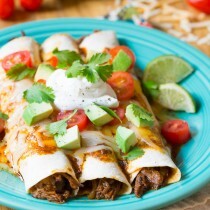 Loooooooving these slow cooker enchiladas! Great recipe!